UPDATE: In May 2017, it was reported by industry insiders that TiVo has stopped development of the Mavrik. Although TiVo has not said why, the reports claim that the technical issues involved in recording live television to a cloud source produced a bad user experience. The cat’s out of the bag for TiVo. 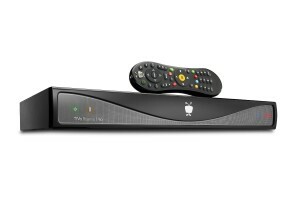 Leaked images and details for the new TiVo Mavrik have surfaced. Mavrik is an OTA (over-the-air) streaming cloud player. What that means — Mavrik will record television broadcasts from an antenna and store the video in the cloud. Your recordings will be available anytime for viewing through streaming. Since it’s TiVo, you know there will be monthly fees involved somewhere. Details about pricing are unavailable at the moment, but it’s rumored that TiVo will offer multi-tiered subscription plans for cloud storage. There’s also no word on any other monthly service charges, Mavrik cost, or release date. Word is that the Mavrik will not connect directly to your television. Instead, it connects directly to the antenna only. In order to watch either live or recorded TV, the video/audio will be streamed directly to a TiVo app. There is supposedly a new TiVo Android app in the works. The concept of cloud-based television recording is not new. It’s been tried before and for the most part, it has failed. However, technology performance has steadily been increasing over the last few years and costs have fallen dramatically for memory and processors. Perhaps TiVo will overcome technical problems that have caused problems with cloud-recordings in the past. Most likely, the recording will be buffered (and possibly compressed) in Mavrik’s memory so the data can be uploaded later or at least on a delay and uploaded in bursts. In the era of cord-cutting, Mavrik will still have a hard time gaining any ground. TV shows can be viewed through Netflix, Amazon Video, and Hulu for around $10 per month. Watching live TV is possible through an antenna (just like Mavrik will use) or even live-streamed from services such as Sling, Youtube, Hulu, and an ever-increasing host of other services. 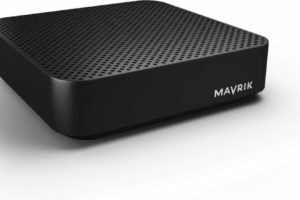 What are your views on the TiVo Mavrik, cloud-based recording, cord cutting, or anything DVR? Let me know in the comments section. Until recently, having multiple televisions for a family meant renting equipment from the cable company for each TV. To view all available channels and programming, each television required a separate set top box. Plus, most family members want the ability to record the shows they want and to watch them later when and where they want. Additional DVRs (digital video recorders) would have to be rented too unless the cable company supplies a whole-house DVR solution – which most companies do not. 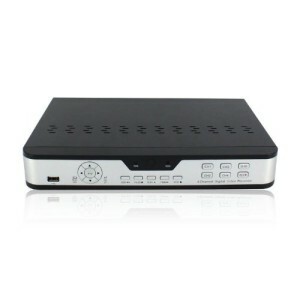 Enter the TiVo Roamio Pro DVR and streaming media player, model TCD840300. This machine has the ability to record up to 6 programs at once or supply live TV to up to six televisions, or in any combination. It can serve as a whole-house DVR solution. Keep reading this review to see if the TiVo Roamio Pro is right for you. By now you have no doubt heard about the release of Windows 10. You probably heard that Microsoft is allowing owners of Windows 7 and Windows 8.1 to upgrade to Windows 10 free of charge for one year starting July 29, 2015. Windows 8 users must first upgrade to Windows 8.1 (which is also free) before upgrading to Windows 10. But before you accept your free upgrade to Windows 10, there are some things to consider if you use Windows Media Center as your HTPC DVR solution. As of Windows 10, Microsoft will no longer include Windows Media Center with Windows. If you have WMC installed when you upgrade to Windows 10, WMC will be removed. Even if you have a WMC product key for Windows 8 or Windows 8.1, it won’t work for Windows 10. 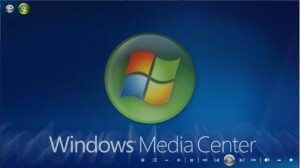 Microsoft has effectively killed off Windows Media Center with no plans to bring it back to life. The WMC team at Microsoft was disbanded back in 2009 and its members sent off to work on other projects. Microsoft claims that due to lack of consumer interest in the product and due to licensing fees, it’s no longer practical or feasible to support WMC. So where does this leave the millions of faithful WMC loyalists? Where does this leave you if you use WMC as a DVR on your home theater PC? A few years ago, we noticed that we seemed to be losing tomatoes. We would see a tomato ripening on the vine. When it was almost ready, it would suddenly be gone. One week in August that year, I counted at least a dozen tomatoes that went missing. My parents thought a nosy old neighbor was stealing them. I figured it was a raccoon. Turns out I was right. By installing a simple low cost camera and DVR system, I was able to find out who or what was stealing tomatoes before my dad went out and accused his neighbor of taking tomatoes. That’s just one small use of a DVR based security and surveillance system. There are many low cost, yet feature-rich surveillance DVR systems on the market today that are simple to install, a snap to setup, and a breeze to use. These types of systems can be installed and ready to go within a matter of hours by a complete novice. One such system I have reviewed here is the Zmodo PKD-DK4216-500GB security surveillance DVR system. Nothing is more important than the safety of your family. Followed closely by protecting your home, property, and business investments. One of the best ways of protecting your loved ones and property is by installing a video surveillance system for monitoring activity around your house and business. But most home owners and small business people are hesitant to tackle the chore of selecting and installing a surveillance system on their own. Installing such a surveillance system doesn’t have to be difficult, costly, or require a technical degree. There are plenty of easy-to-install, yet feature-rich video surveillance systems that the average do-it-yourselfer can install on his or her own and be up and running in a few hours. One of the best ways to get started is to purchase a all-in-one kit that bundles a digital video recorded system with cameras and all the necessary mounting hardware. 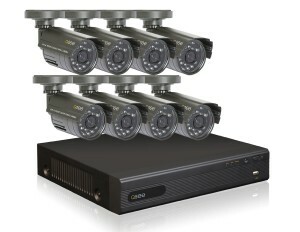 This review covers this type of bundled package, the Q-See QT228-8B5-5 8 channel security surveillance DVR system. The bundled package includes the QT228-5 DVR with 500 GB hard drive, 8 cameras, and all the hardware needed to get it all installed and working right out of the box. Let’s take a look at this system in more detail.